Children review what God made each day of creation by gluing pictures on the correct days. Click on the preview image above to download the printables. Don’t miss our other free resources for teaching the Biblical days of Creation. 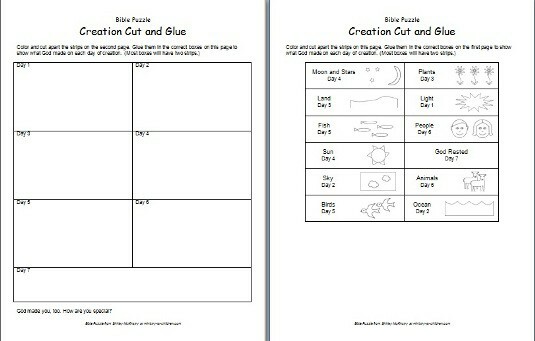 The children will especially enjoy the creation coloring pages and this printable days of creation game. Tony Kummer (Editor) reviewed & updated this page on : February 15, 2019 at 11:33 am. All our content is peer reviewed by our readers, simply leave a comment on any post suggest an update.